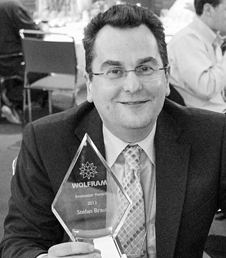 Stefan Braun is recognized for using Mathematica in industrial applications. He has used Mathematica and the SmartCAEFab in more that 150+ industrial projects in different application areas. SmartCAE’s software solutions allow practical users to simulate complex applications problems, with a lot of parameters, without being a simulation or Mathematica expert. 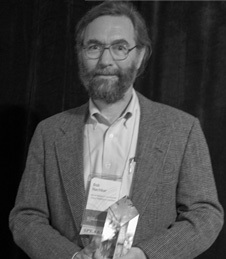 Robert Nachbar is recognized for using Mathematica at Merck. He was instrumental in the Gardasil HPV vaccine project, turning a research-grade model created by his coworkers Elamin Elbasha and Erik Dasbach into a production-grade simulation package. Robert is responsible for the Wolfram|Alpha trial at Merck, has used Mathematica frequently in his research on viral dynamics for the hepatitis C virus, and has modeled clinical trial data. 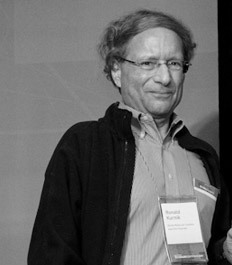 Chemical engineer Ronald Kurnik develops medical devices, using Mathematica for rapid prototyping of algorithms for signal and image processing and for quantitative chemical reaction modeling. His work has led Roche to file for 15 patents, 7 of which have been issued so far.